The largest and most populated city in the USA, New York City is often called the “city that never sleeps” because it is constantly buzzing with activity. Located in New York state on one of the world’s largest natural harbors, New York City is made up of five boroughs, which include, Brooklyn, Manhattan, Queens, Staten Island and the Bronx. World renowned for its concentration of skyscrapers and famous attractions, New York City is what many foreigners often visualize when they think of the USA. 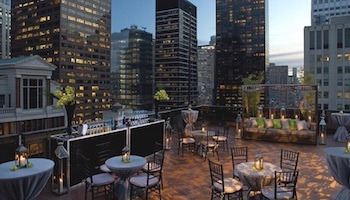 From history to art, theater and sports, New York City is one destination that truly offers something for everyone. Some of New York’s most notable landmarks that can be toured include the Statue of Liberty, the Empire State Building and the Rockefeller Center. 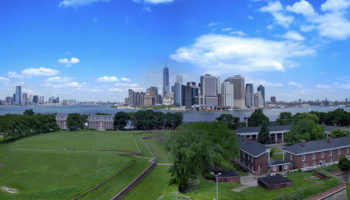 One of the city’s most important historical sites is Ellis Island, where millions of immigrants first arrived in America. New York is home to one of the world’s most vibrant arts and culture scenes with many distinguished theaters and museums like the impressive Metropolitan Museum of Art. Throbbing with flashing neon lights and glittering billboards, Times Square is the city’s dazzling entertainment district where tourists can catch a Broadway performance and shop for souvenirs. Home to several major sports teams and stadiums, New York City always has a game going on whether it be football, baseball, basketball or hockey. 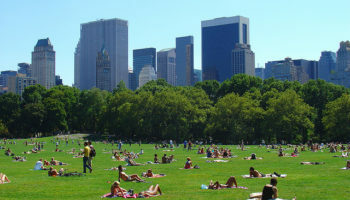 For those who need to catch their breath from all the hustle and bustle of New York City, Central Park is the answer with its wide open green spaces, gardens, wooded paths and outdoor recreation.